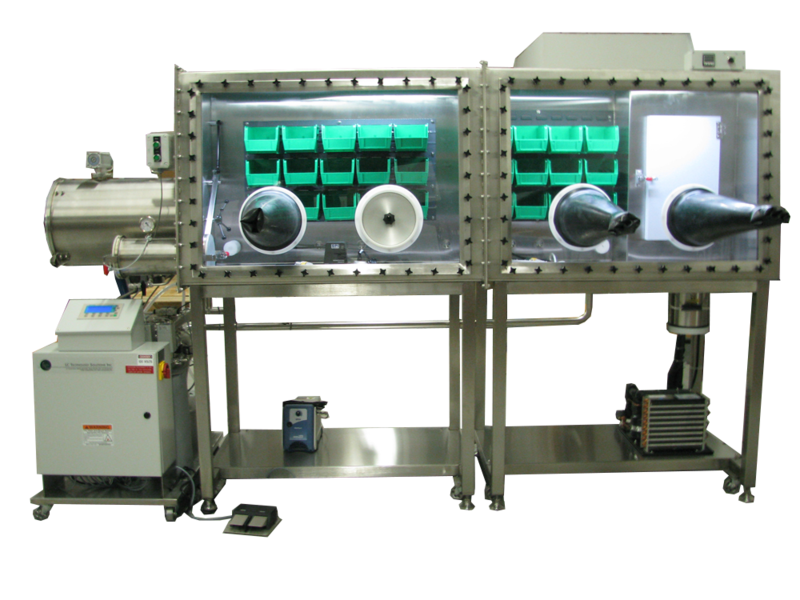 LC-1 | Stand Alone Glovebox Systems | LC Technology Solutions Inc.
Modular design for easy expansion. 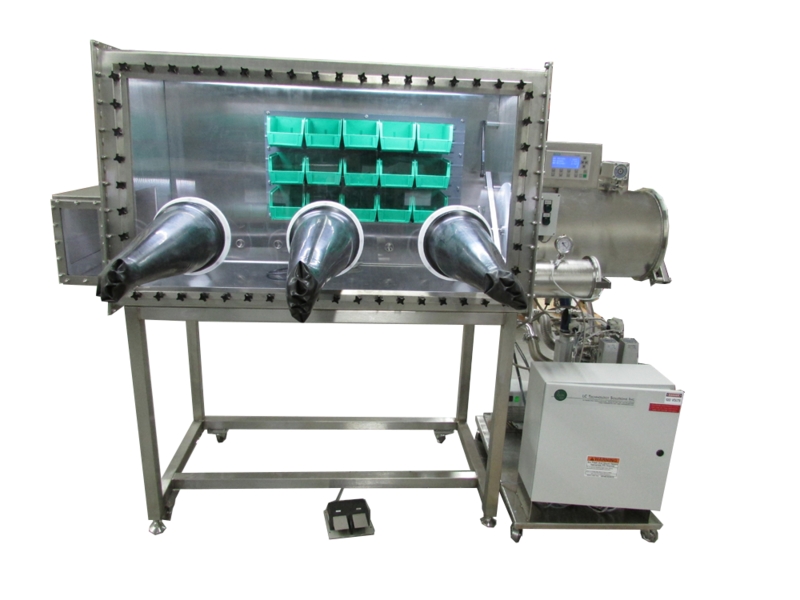 The LC-1 glovebox system is a complete full size stand alone glovebox. 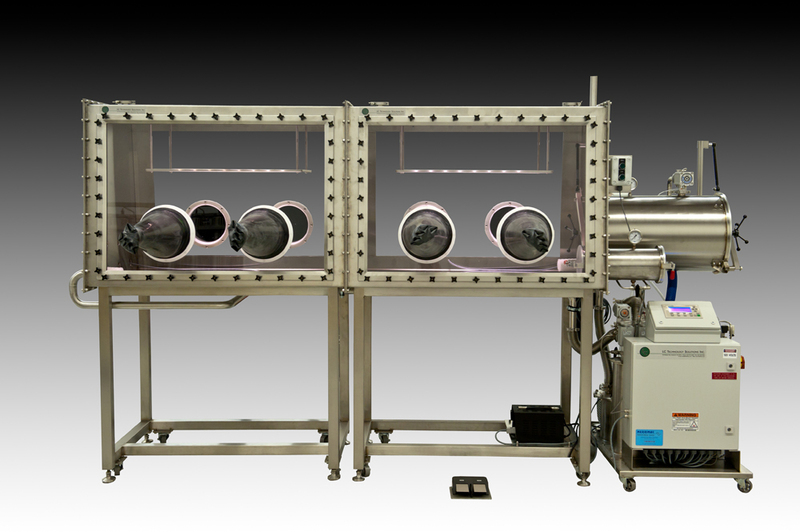 It is capable of achieving and maintaining a less than 1ppm H2O and O2 inert gas environment when connected to our RGP-1 series of gas purification systems. 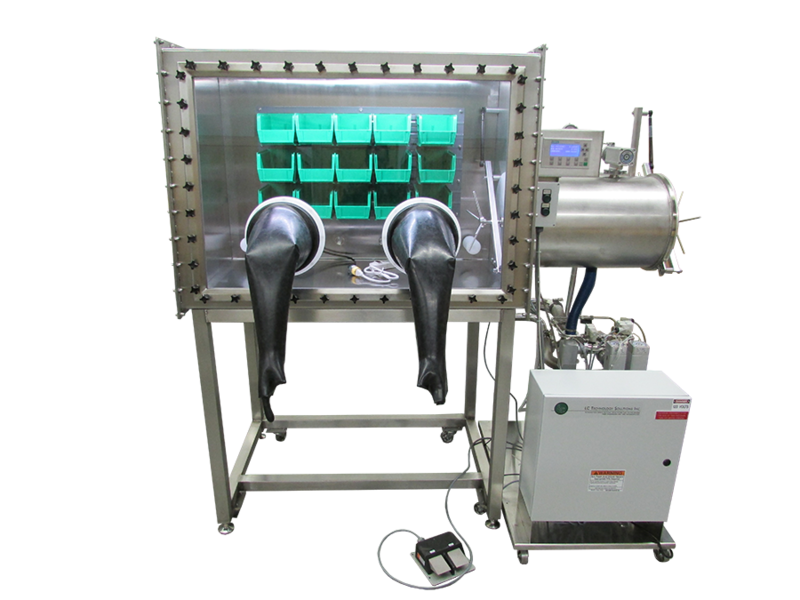 The system is modular and comes complete with everything needed to operate the glovebox. 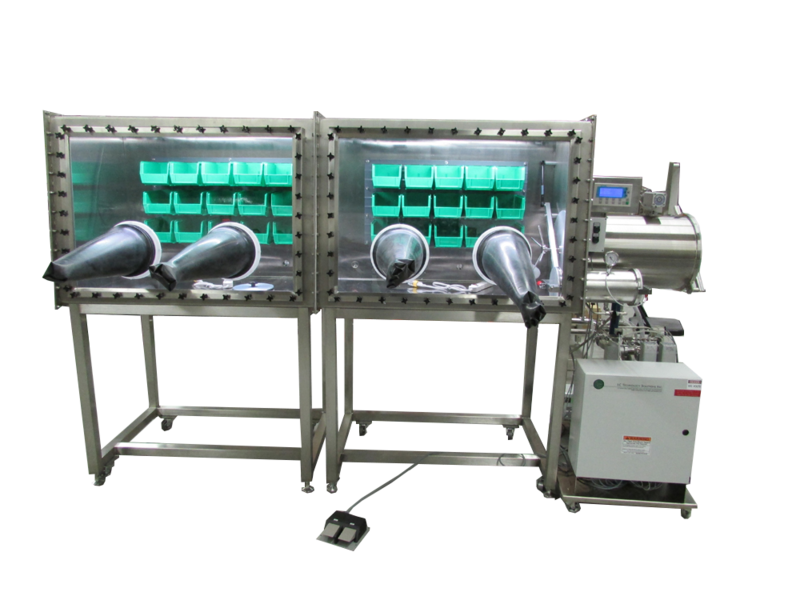 It includes the stand, gloves, lighting, antechamber, quick release window and adjustable bin storage system at no additional cost. 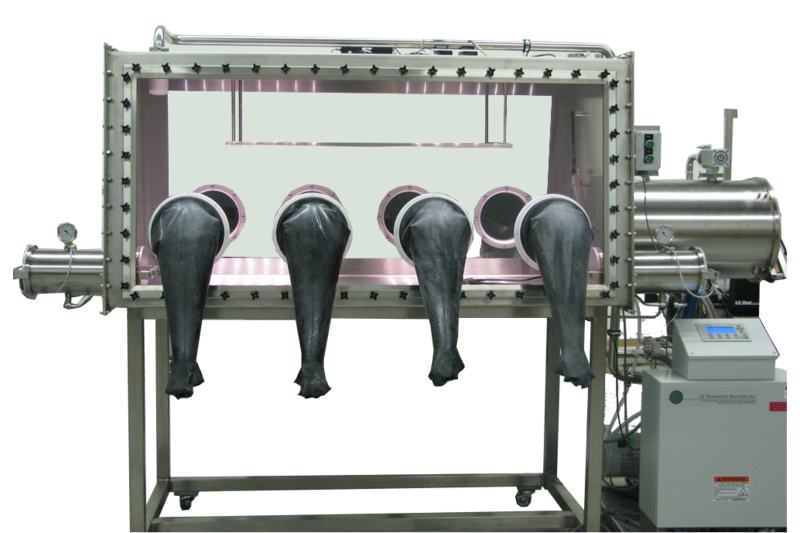 The system is manufactured with the highest quality components available. 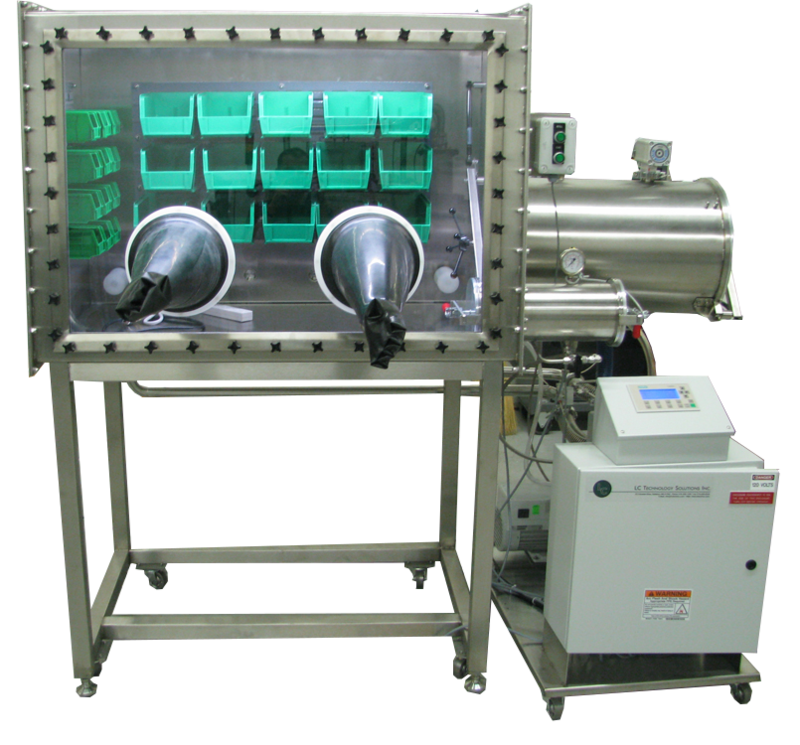 It is offered with a wide variety of optional accessories to meet the requirement of almost any application. 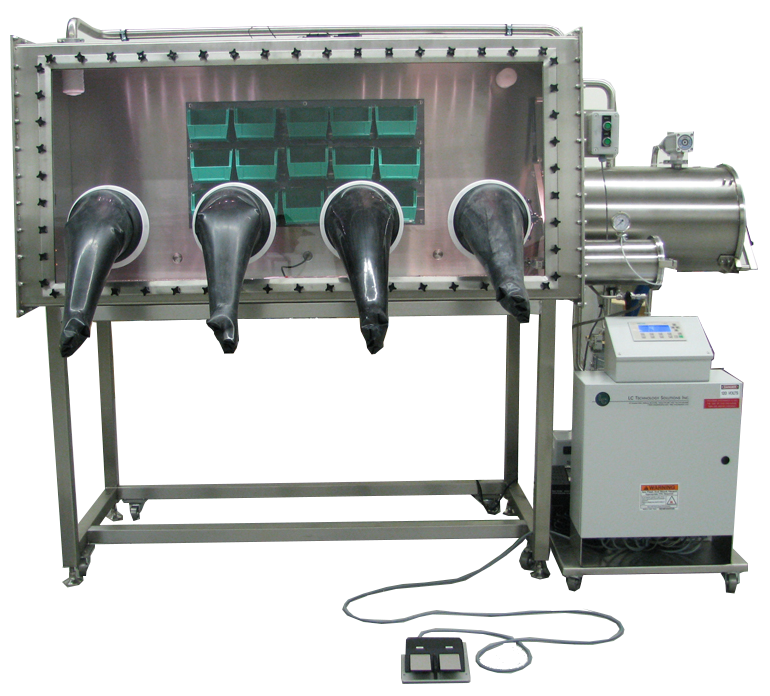 The LC-1 series is available in single length (LC-100) or double length (LC-200). Custom designs are also available.